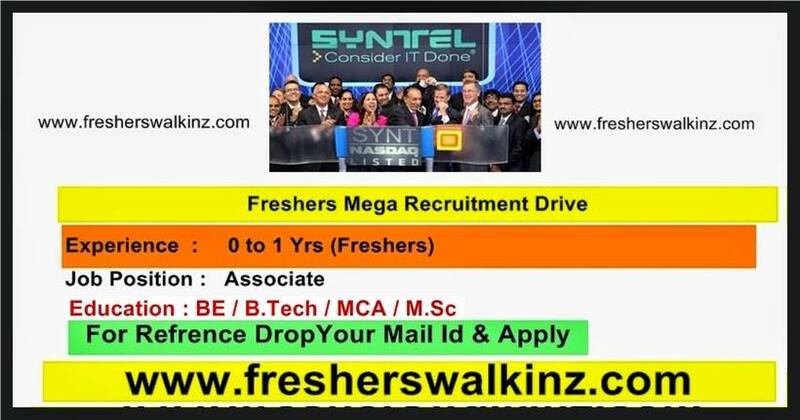 Description: Syntel Walkin Drive for Freshers - On 9th & 10th May 2016 for Pune location. 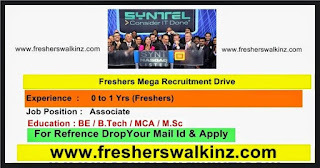 For Freshers: Graduates who have scored minimum 50% (B.Com, BMS, BBA, MBA Finance, B.Sc - Math's, Statistic, M.Com, BA Economics. For Experienced: Candidate having 1 to 2 yrs. of experience in Capital Market, Reconciliation, Accounts Payable, Equity, Derivatives, Mutual fund.